This International Women’s Day I feel proud to share that women empowerment lies at the heart of the Foundation. On this occasion, sharing stories of two courageous women who in the face of adversities ensured their own Success! 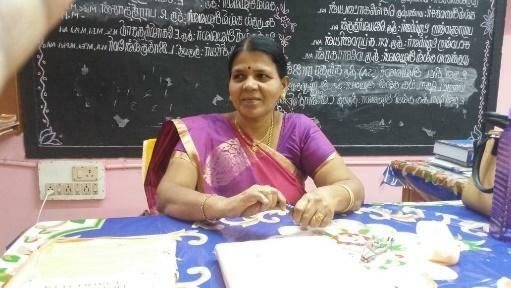 The first story is that of Jacquiline Mary, Headmistress from a government school in Chennai. Jacquiline was instrumental in identifying an incident of two school boys being sexually abused by three local mechanics. She made sure that justice prevailed and helped the Police to arrest the culprits under the POCSO Act, 2012. The matter is now under investigation. We need more such teachers who are brave enough to stand up on behalf of children. The next story is that of Anisha Shinde, who chose to empower herself by joining the General Duty Assistant course in the SMART Academy for Healthcare, Mumbai. While dropping her daughter everyday to the school, she got inspired looking at young girls learning paramedical skills at the Academy. This motivated her to take up a course that could help her pursue a dignified living. Women like Anisha tell us that age is never a bar to learn and educate oneself. This occasion is a fitting tribute to congratulate the #heroes like them. Join me to support this year’s United Nations theme. Think Equal, Build Smart, Innovate for Change. I feel elated to share that Mr Anand G Mahindra inaugurated the third SMART Academy for Healthcare in Mumbai along with our stalwarts Mr Vineet Nayyar, Ms Rajyalakshmi Rao and Mr Ulhas N. Yargop and leaders from M&M and Tech Mahindra. Seeing is believing. Watch the video for glimpses from the ceremony. All our achievements would not have been possible without your continuous support in this journey. Thank you all for being a part of this journey. As you are aware, The Foundation mandates that 10% of all our beneficiaries are Persons with Disabilities. Moving with the mandate and the theme of the year, we supported the INCLU- SIVE SPORTS MEET. A day long event where students across with visual or speech or hearing impairment participated at par with others. The Inclusive Sports Meet included sports like Wheelchair Basket Ball, Relay Races, Needle and Thread Race, Bowling, 50 and 100 meters races, Shot Put among many oth- er. Besides the sports and games, the day was buzzing with a lot of smiles and happy faces. I am happy to share that over 800 students from across 22 schools and 200+ Tech Mahindra Volunteers participated in the event. The Sports Meet was just a reflection of our intention to promote inclusivity as we impact lives as part of our work. for lighting the torch to kick start the sports meet. A big kudos to all TechM Volunteers for all their zeal and com- passion. Thanks for joining us as we #RiseForGood! Keep watching the space for more inspiring stories. SMART students grabbing Smart packages! It gives me immense pleasure in sharing with you all that our SMART students are doing wonders. Not only they are being placed with top-notch companies, but are also bagging attractive packages ranging from 1.5 Lakhs to 4.5 Lakhs. Coming from the difficult backgrounds, our students are filled with passion and energy to do something in life. We at TMF give wings to their dreams and a belief that dreams do come alive! 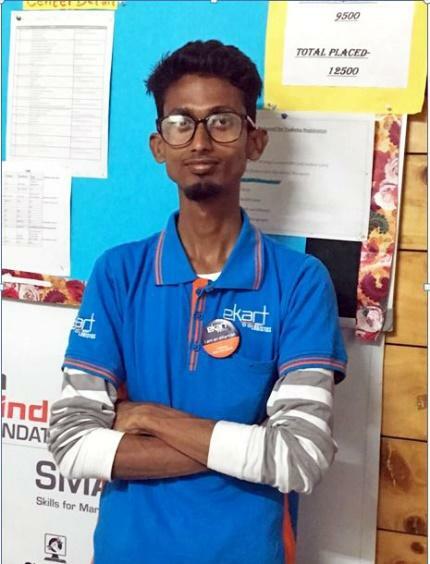 This month we saw many placements happening, but the one which caught our attention, was the placement of Vishwanath Tata, a SMART student from Hyderabad. He bagged a decent package of Rs. 4.5 Lakhs and is working as a software analyst with Hexagon Capability Pvt Ltd in Hyderabad. Friends, with the Women’s Day approaching, I must congratulate my women cadre which is raising the bar every single day. 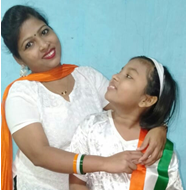 Monica Anthony, a mother to a small boy is now a Subway parcel delivery officer and earns 12,000 p.m.
Shikha, one more SMART student is now happily working with Centre For Sight as a front officer and earning 17,000 p.m.
More power to our Youth! We are very proud to share that the first six students from a Mumbai SMART technical welding center at Thane, Mumbai, have been placed globally! These young men – Atif Dildar Marne, Mohammed Sadre Alam, Ibrahim Azam Maniyar, Mohamed Aquib Vasid, Kahafa Nizam Dongre, Sosef Nizam Dongre – will be joining a UAE based company with a handsome salary of Rs. 21,500 per month. Students went through a rigorous assessment process from the employer and, along with their six-month training experience they very easily cleared the practical tests as well. SMART has successfully trained 60,000 young men and women with a placement rate of over 70% in the last six years. Through SMART we have created an industry – led model for skill development that is both scalable and replicable while maintaining high quality training standards. In all these years we have placed students in job roles suited to their background but this is the very first time that our six students are all set to rise and shine like stars on a global platform. I am personally very elated with this fantastic news and strongly believe that they will do excellent in this new role. Everyone at TMF wishes them a bright future, and a fulfilling career. Watch this space for all the updates and exciting news on our six rising stars as they get ready to board the flight of their dreams! It has been an eventful month at Tech Mahindra Foundation. First, I am happy to share that we have inaugurated the second Tech Mahindra SMART Academy for Healthcare in Mohali. It is a matter of pride for us that like the SMART Academy in Delhi, the Academy in Mohali is also equipped with state-of-the-art laboratories – Operation Theatre lab, Dialysis lab, X-ray lab, Basic Skills lab and a computer lab. Not just that, we already have over 70 admissions and the medical fraternity in both Delhi and Chandigarh have acknowledged the high quality of the training imparted, the faculty and the infrastructure. Mr. Vineet Nayyar, Mr. Arun Nanda and Ms. Rajyalakshmi Rao did the honours. 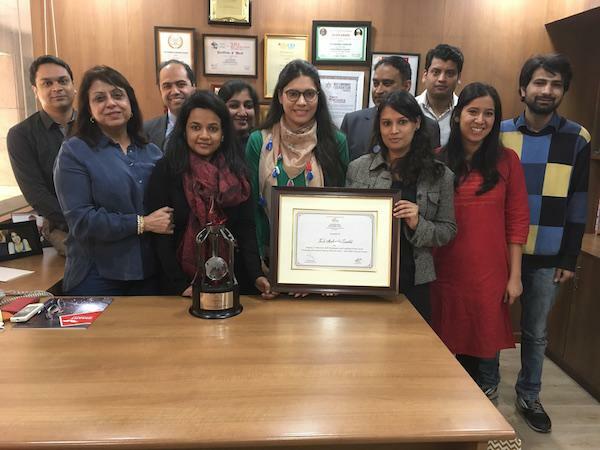 The second feather in our cap has been the honour of receiving the FICCI Corporate Social Responsibility Award in the category of ‘Education, Skill Development and Livelihood’ for our flagship employability programme SMART (Skills-for-Market Training). This is the first dedicated award for SMART on a national platform. By the end of FY17-18, SMART will have trained 65,000 young men and women across India. I would like to thank everyone who has supported the Foundation’s endeavours.